Badger cull ‘sabs’ from Hackney have travelled to the heart of the countryside where government marksmen are engaged in shooting the animals. Some cull saboteurs have been living at ‘Camp Badger’, an encampment in rural Somerset, for weeks and plan to stay until the start of next month. They fear the cull in Somerset – one of two pilots being carried out over a period of six weeks – will kill 70 per cent of badgers in the area. The Department for Environment, Food and Rural Affairs (Defra) says the cull is needed to deal with the problem of bovine tuberculosis (bTB), which it says is devastating the dairy and cattle industries, “causing financial and emotional misery for farmers and rural communities”. Independent scientific research demonstrates that badgers are carriers of the disease, according to Defra’s deputy chief veterinary officer Alick Simmons. 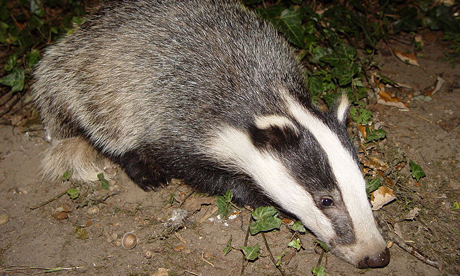 The London Wildlife Trust and several other charities are firmly opposed to the cull and support vaccination programmes instead, though Defra argues that vaccination is too costly and relatively ineffective. London Against the Cull, which was behind a prominent protest march earlier this year, has placed its supporters on “red alert” to fight the killing. The cause has been taken up “not just by old school animal rights activists, but by people who haven’t been involved in these types of issues before, including non-vegetarians”, according to Ms Brown. A vegan, she said the government was killing wild animals to protect “exploited” livestock. She said cows often became ill because of “squalid” living conditions. She added: “We had a cattle farmer come in the other day and he was really supportive of us. “Lots of people are taking direct action. “Just by being present in the field means that the shooters have to stop shooting. 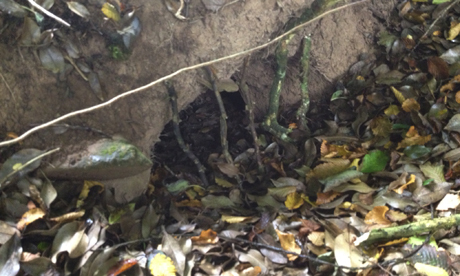 “We’re also checking out badger setts where we know badgers are living and where we know shooters are shooting. “We walk through the footpaths at night to make sure they can’t shoot. Though there are plenty of ways to legally sabotage the cull – shining lights and making noise can scare the animals out of harm’s way – the fact that killing often takes place on private land means some activists risk being charged with aggravated trespass. Tampering with traps is also considered an offence. Steve Oosthuizen, 32, a freelance picture editor from Stoke Newington, is spending as much time as he can helping to disrupt the cull. Some activists say police have been stopping their cars “more than is necessary” and have been delaying and disrupting their legal activities. An Avon and Somerset Constabulary spokesperson said: “Our role during the cull is an impartial one and the challenge we face is to balance the rights of protestors with the rights of the wider community to carry on with their lives as normal. “We believe a small number of people have come to the cull area with the intention of attempting to commit criminal offences. We have a responsibility to keep the public – including protestors – safe and so police officers will on occasion stop and speak to people in order to help identify those people planning to commit offences. He advised those interested in taking part in efforts to stop the cull to visit londonagainstthecull.org.uk to find out more.